NOTE: Credit Card payment Fee's are not included in this prepaid price stand and monitor shown are not included. Silver Strike Bowling continues to be a favorite for players of all demographics. An offline unit, SSB offers players a more casual video bowling experience without diminishing the competitive factor that has made Silver Strike Bowling one of the most-played games in bars and restaurants around the world. 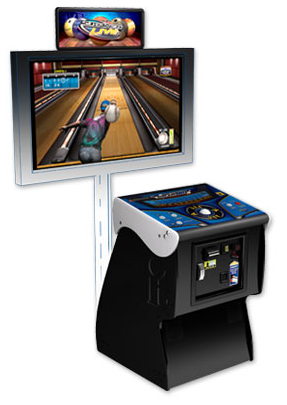 With its life-like competitive experience and straightforward trackball control, this realistic ten-pin bowler has cultivated an army of nearly 5 million players in over 12,000 bars and restaurants worldwide since it was introduced in 2004.